Funds raised at Mr. Kennady’s house warming joined Christ UMC’s sponsorship of the Estrada family home! Their home dedication is April 9, 2016 at 9 am. As local attorney Hub Kennady moved into his new Kentucky-style home last year in the Pebble Creek subdivision, he figured that it was a time to celebrate and enjoy his version of the best locally-made Kentucky BBQ pulled pork (Hub’s not from Texas but he got here soon enough). Hub also felt it was a time to give back to the community that had he has been a part of for so many years. 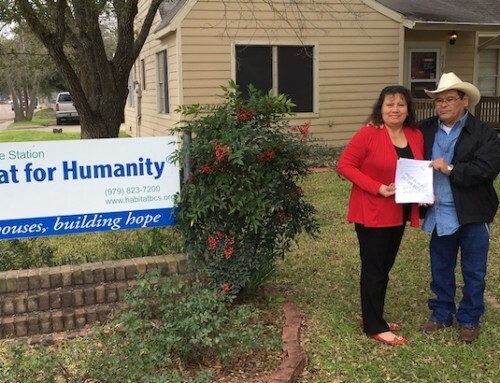 Instead of bringing gifts to his house warming celebration, Hub asked his guests to contribute to the Christ United Methodist Church’s Habitat home sponsorship. Over 40 people attended and we were there to share our mission of eliminating poverty housing. We also showed guests the building plans of the house the funds would sponsor. 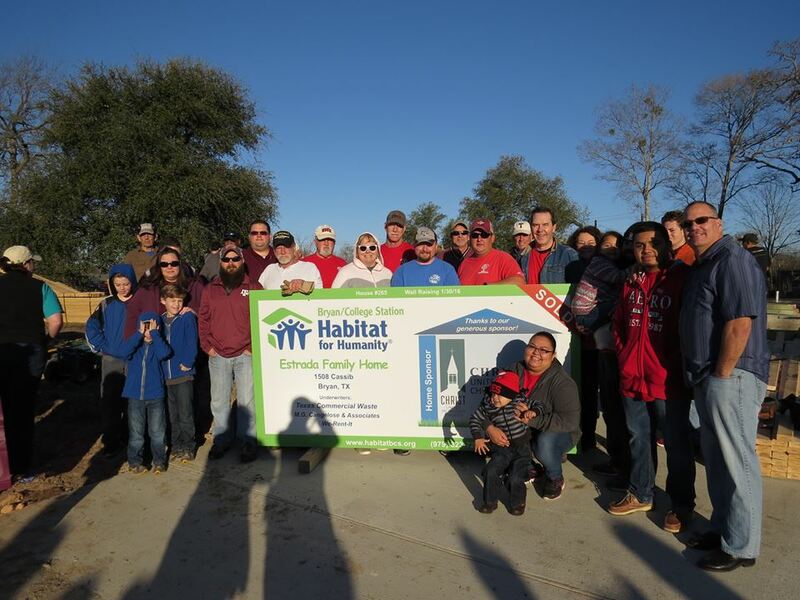 Together, guests raised $2,400 to help sponsor a home for the Estrada family. Thank you Hub and everyone who attended the open house for your support and generosity. Because of you, low-income families can own a home of their own. We’d love to help make your creative fundraising idea a success! Contact us for fundraising support and materials. Together, we will ensure everyone in our community can afford a decent place to live!